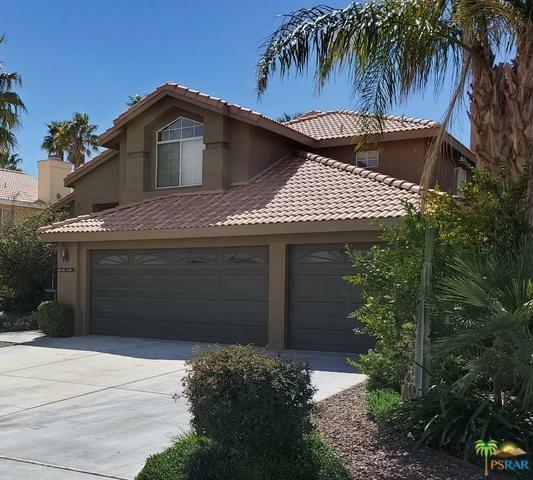 Beautiful two story, four bedroom, three bathroom home in Cathedral City. 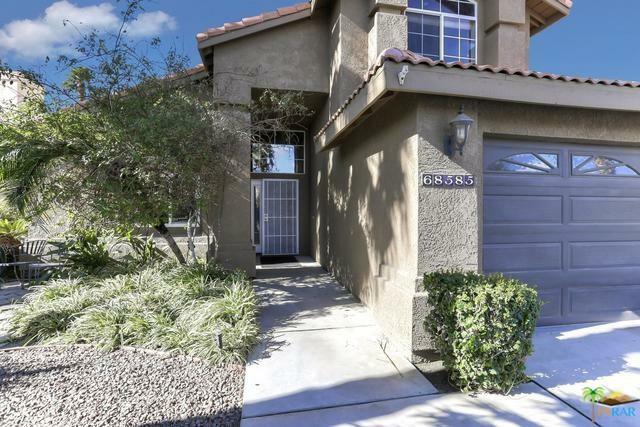 Convenient to freeway and moments to the heart of Palm Springs. 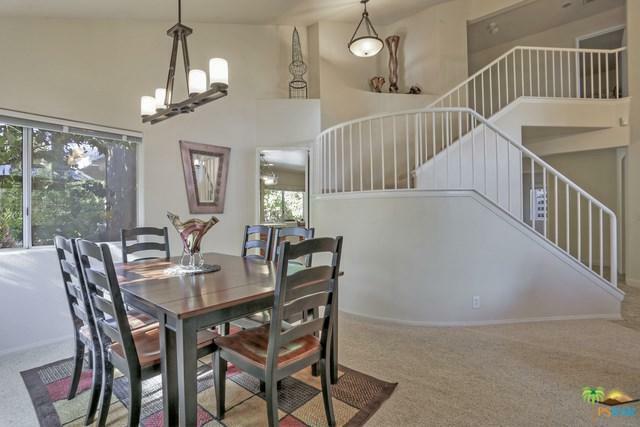 Downstairs living room and dining room feature dramatic vaulted ceilings. 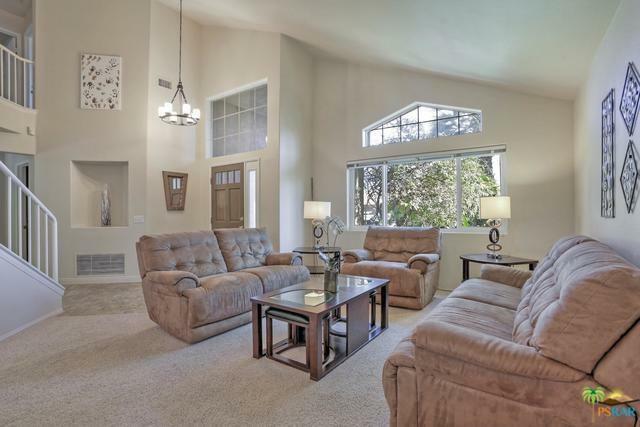 The spacious open concept kitchen and family room boasts newer stainless appliances and a gas fireplace. The downstairs bedroom, with common access bathroom, is ideal for guests or to use as a home office. The laundry room provides entry to the adjacent 3 car garage. Upstairs master bedroom with en suite bathroom includes double sinks, glass enclosed shower, and a separate tub. Two additional upstairs bedrooms share a dual entrance bathroom. The middle bedroom also has an exterior door to the spiral staircase. Enjoy outdoor desert living in the private backyard. Established fruit trees and border foliage surround the pebble tech pool and spa. Spend evenings relaxing around the gas firepit or under the covered patio. This impeccably maintained and updated home is move in ready.